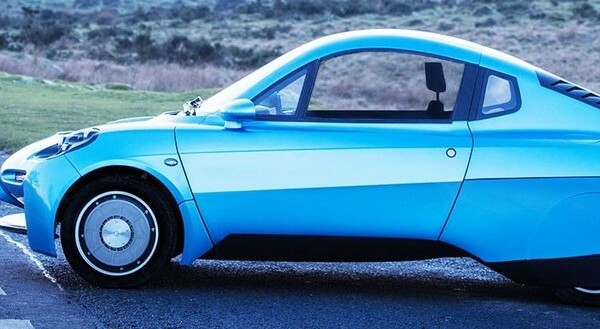 In the battle of the solar-powered green camping concepts, the Harmony by industrial designer Weii Feng clearly emerges as the current front-runner. Why? Because this Recreational Vehicle is designed to double as a yacht, taking guilt-free recreation to a whole new level. 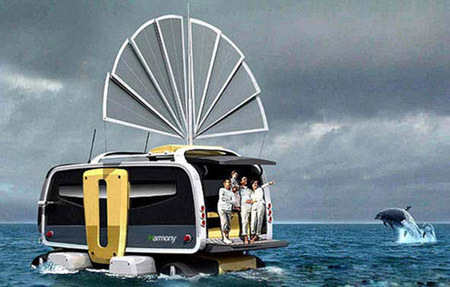 The Harmony is an all-terrain, amphibious recreational vehicle design concept designed to smoothly transition from the open road to the open seas, exclusively utilizing alternative energy. 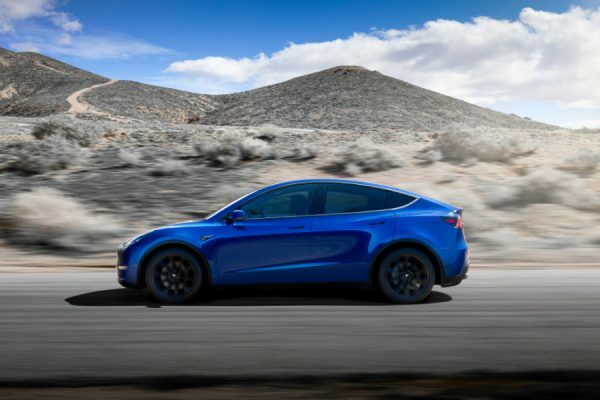 The RV is powered by hydrogen fuel cells and four electric driving motors hidden in the wheels, with additional juice provided by a solar powered jet drive for propulsion and a solar panel that conveniently doubles as both a sail and a paddle. (!) The concept design features leisure areas, a kitchen, entertainment facilities and a toilet.